Being famous for imposing mountain passes, beautiful rice terrace fields, amazing rocky mountain and colorful, friendly people, North Vietnam is always a great destination for motorcyclists and the nature lovers. 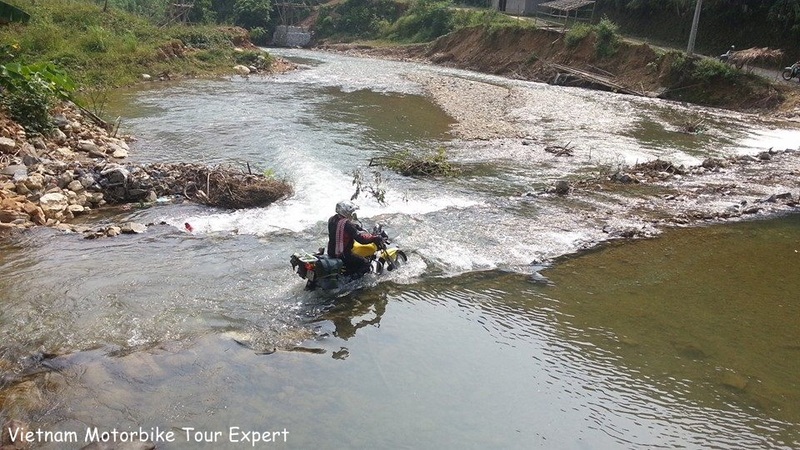 You can easily find a motorbike tours in North Vietnam on any websites on tourism in Vietnam. 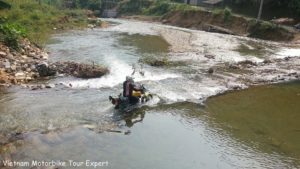 However, this 11 day motorbike tour North Vietnam is one of the collective designs of experienced team of Vietnam Motorbike Tour Expert including many of the best attractions in Northern Vietnam such as:Mai Chau valley, Mu Cang Chai, Sapa, Ha Giang – Dong Van Rock plateau and some beautiful Thac Ba lake and Ba Be lake. Especially the route we choose to ride on is safe, fun and unique! Hanoi motorbike ride to Mai Chau starts at about 9:00, hitting the road down to the south west of the Hanoi on the big free way. After one hour ride we’ll be in the mountainous area where the tour is really enjoyable with the back countryside road riding, seeing green nature and meeting smiling local people. After lunch in Hoa Binh, you’ll have chance to have one of the most motorbike riding tour in North Vietnam when the ride is completely on the mountain back roads with the green view of mountains. 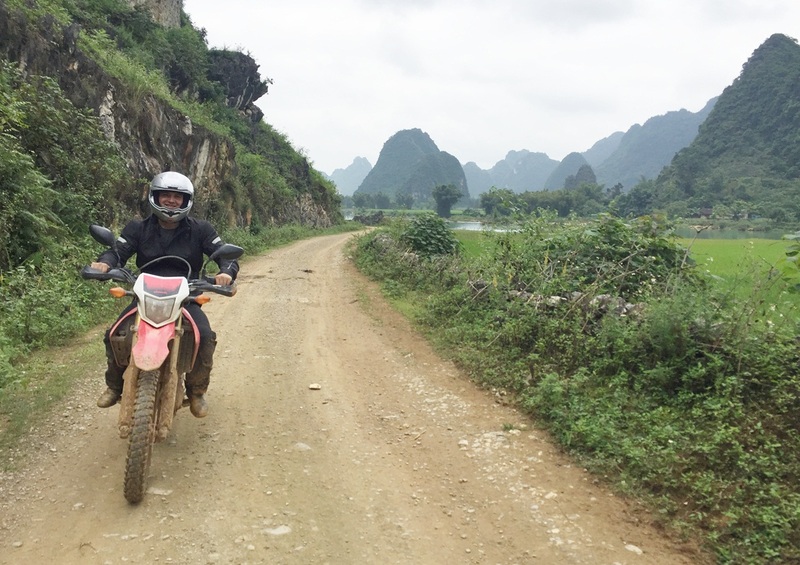 Especially the ride on the bank of Da river before getting down to Mai Chau is one of the best part of this North Vietnam motorbike travel. Arrive Mai Chau at about 5:00 pm. After breakfast, we continue the motorbike touring in North Vietnam to Phu Yen. This is the short ride but offers many stops for picturing of landscapes and visiting the villages of local hill tribes. 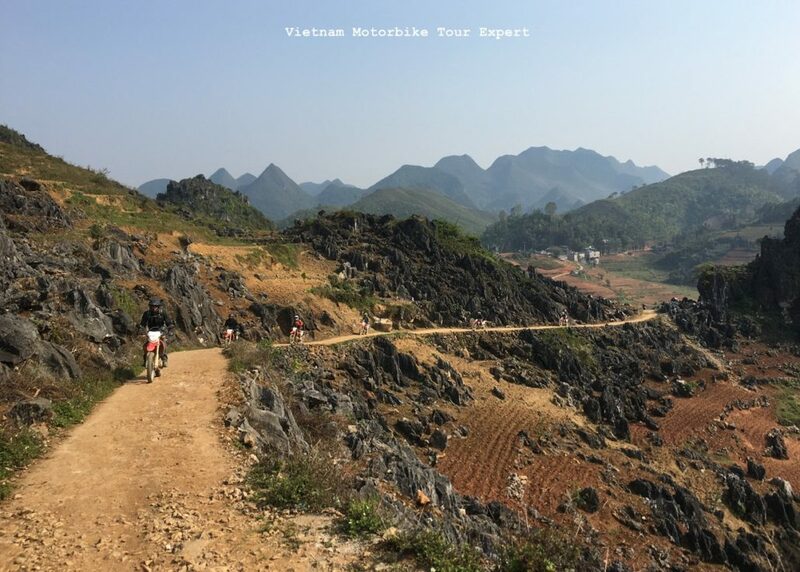 Before getting to Moc Chau plateau, the experienced tour guide of the Vietnam Motorbike Tour Expert can give the choices to have short off-road motorbike ride through some rustic villages or enjoy a smooth ride on the old and quiet French road that offer a beautiful view of mountain. After lunch in Moc Chau, we’ll motorcycle down all the way to the Da river to cross the river to Phu Yen town after enjoying a joyful motorbike tour on the riverside, this is a short but great ride, it remind you of a motorbike tour on the coastlines Vietnam. Arrive Phu Yen at about 4:30 pm. 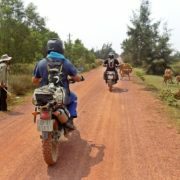 This 210 km motorbike ride from Phu Yen to Than Uyen is surely the highlight of the Motorbike tour in Northern Vietnam, with this ride you will gain all what you expect on motorbike touring in Vietnam. You’ll get chances to see picturesque terrace fields, meet and learn about the different tradition between the local hill tribes and ride motorbikes freely on the winding quiet passes. This great ride will be end at about 5:00 pm in Than Uyen town. After breakfast, we’ll start the great Vietnam motorbike ride to Sapa and the O Qui Ho pass – one of 4 longest and most beautiful passes in North Vietnam. 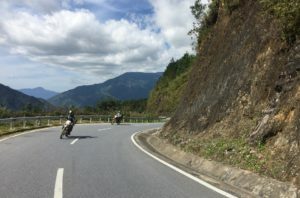 The first 60 km ride is an easy ride on the smooth road through many villages and green tea farms, the last 50 km motorbike ride to Sapa is one of the best short motorbike tours in North Vietnam because of special feeling you’ll have when you ride up and up to the heaven gate – at the level of around 200 meters above the sea. 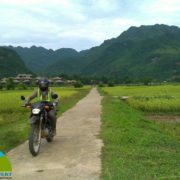 We’ll be in Sapa at lunch time, in the afternoon, you’ll have short tour around Sapa by motorbike or foot or just take the half day rest and save energy for the next rides. After saying good bye to Sapa, we’ll hit continue the motorbike tour to Northeast Vietnam to Bac Ha. Just be on the bikes and dropping down hill on another side of the Hoang Lien mountain range. It also offers a great view of mountain with more terrace rice fields. The motorbike ride to day is almost on the sealed roads along the Chinese border through some rustic villages and nice terrace fields. 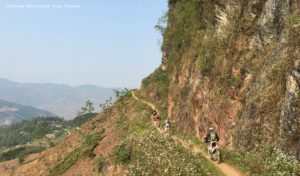 The fifth day of this North Vietnam motorbike tour will be finished in the little town of Bac Ha at around 4: 00 pm. 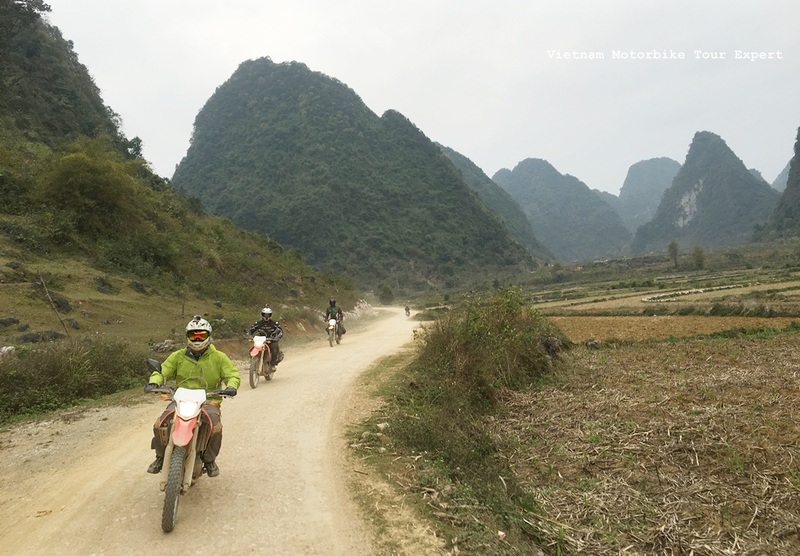 Unlike the riding days before, this Vietnam motorcycle tour to Ha Giang offers different beauty of Vietnam and more fun with the motorbike ride on some dirt and bumpy roads. After lunch in a rustic restaurant in Xin Man, we’ll have a great motorbike tour along the winding river with breathtaking view of rice terrace fields in Hoang Su Phi. We’ll be in Ha Giang in late afternoon. Ha Giang – North Vietnam is always the best choice for motorcycle touring in Vietnam, being famous for the large and breathtaking plateau of rock with colorful and friendly people living around, Ha Giang and Dong Van Global Geo-park is always attractive destination for motorcyclists whenever they come, you can see here the different beauties in different times and seasons. This Vietnam motorbike ride around Ha Giang should be the best part of the long motorcycle tour in Northern Vietnam. 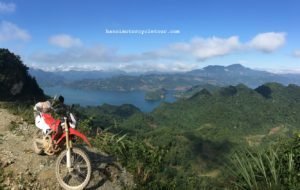 This short motorbike ride will offers a lot of stops for picturing and visiting the local hill tribes. 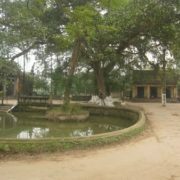 Traveling with an experienced and knowledgeable tour guide team on Vietnam Motorbike Tour Expert you’ll get more information about the tradition and culture of this amazing land. We finish the enjoyable ride in Dong Van town at about 5:00 pm. After breakfast, we can have a walk around the Dong Van ancient town, trying a tasty local coffee or we can have a longer walk up to some of the hills nearby the town where the French built the bastions on during the war time. 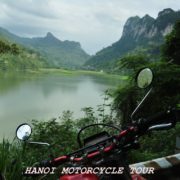 We’ll resume the North Vietnam motorbike tour at about 10:00 am. This is another short day for motorbike ride in North Vietnam but it’s still one of the most enjoyable rides, we’ll keep enjoying the wild beauty of the rock plateau after Dong Van especially the motorbike tour from Dong Van to Bao Lac will cross the Ma Pi Leng – one of the most beautiful mountain passes in North Vietnam it surely offers amazing view of rock mountain. We’ll end another enjoyable motorbike tour in the Dong Van Global Geo-Park at about 4:30 pm. Be back on the bikes after breakfast then keep riding along the Gam river to get out of the Bao Lac town, you’ll be happy when riding on the small winding roads between the mountain and river and through some hill tribes’ villages in which the local kids feel excited to wave their hands to you whenever you ride crossing their lands. Just one hour riding motorbike on the sealed road, the experienced guide of Vietnam motorbike tour expert will you to the one of the greatest off-road motorbike tours in Vietnam, it’s the long off-road motorbike ride through plenty of rustic villages of the hill tribes and crossing some streams also bamboo bridges. The great motorbike tour to Ba Be lake will end with the bout tour around the lake Ba Be after lunch. Start the final riding day at 8 am. Unlike the other motorbike tour organizers in Vietnam, the experienced team of Vietnam Motorbike Tour Expert will take you on the safest and nicest roads back to Hanoi, even we can offer some off-road ride before heading back to busy Hanoi. 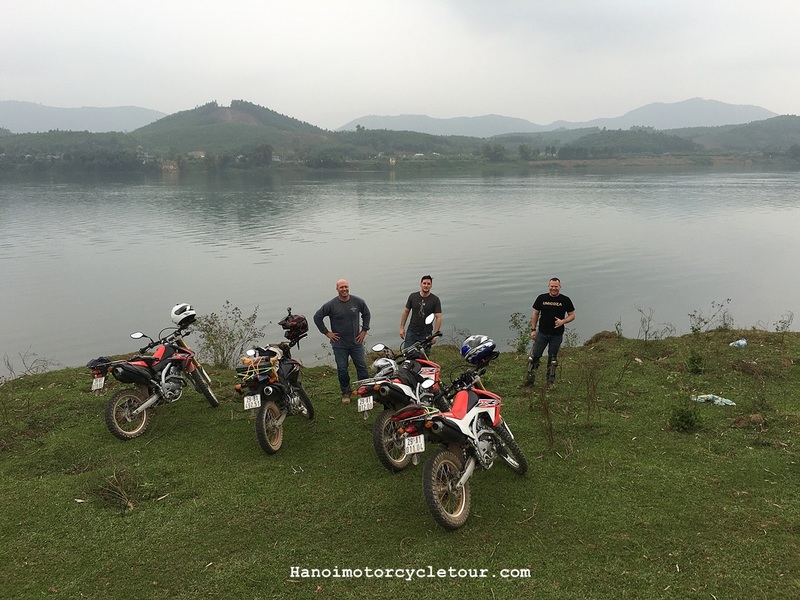 We’ll be in Hanoi and end the great North Vietnam motorbike holiday before rush hour.